I was late On my period then had a very strange 2 day period. Maybe 10 hours of heavyish flow and just spotting. Feeling nauseous. 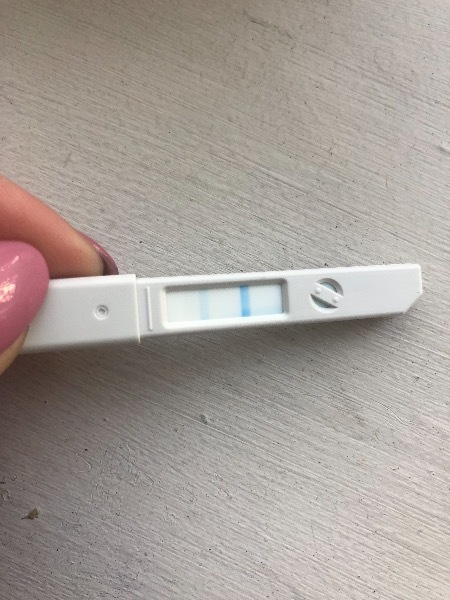 Did a hpt and it was neg but all opks are testing positive. I’m confused has this happened to anyone else and youvr gone on to be pregnant? I think by the time an opk picks up a pregnancy a pregnancy test should as well but don’t quote me on that. Other than that i can’t advise anymore, maybe try a hpt again with fmu. thought Maybe others had been through something similar. Here’s hoping.. I know, it’s very frustrating, you just want to know either way, are you having any symptoms? Well I was at a wedding on Saturday and when the fish starter arrived was literally so nauseous I was throwing up. Been feeling A little tired and having slight twinges and cramps in my stomach. The weirdest thing for me was I was 5days late for AF and then when I came on it was only 10hours of actual flow and then another day of spotting So I really really don’t even know whether that can even be counted as an actual period as there were no clots or anything and my usual period is 5-6 days.